Men’s luxury beachwear and lifestyle brand Frescobol Carioca has received a significant investment from YFM Equity Partners in a deal supported by the Bristol head office of national law firm TLT. The investment from specialist private equity fund manager YFM, a long-standing client of TLT, will be used to support Frescobol Carioca’s continued growth and build on its brand reputation. Founded in 2013 by friends Harry Brantly and Max Leese, London-based Frescobol’s roots lie in their Brazilian heritage and travel experiences which are reflected in its range of luxury men’s swimming trunks and resort wear that references and brings to life the Rio beach lifestyle. The business has grown rapidly in recent years and now has more than 200 stockists including Harrods, Mr Porter, Matches Fashion and the One & Only Resorts. YFM’s investment aims to further its global customer base, develop ecommerce opportunities and invest in additional resource. TLT has been advising YFM since 2016 through the firm’s dedicated venture capital and fast-growth team, which advises growing businesses and their investors. The TLT team was led by corporate lawyer Nina Searle with support from Sarah Bratton Bishop (corporate), Ellie Bennun (real estate), Alison Cameron and Catherine Roylance (employment). YFM partner Charlie Robinson said: “We have been supported by the TLT team on numerous investments over the years and continue to be impressed by the way they navigate the complexities of each investment to ensure a seamless client service and a smooth transaction process. 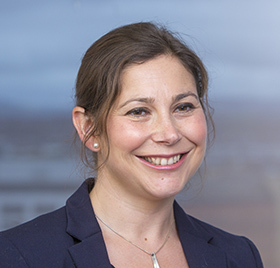 Nina Searle, pictured, an associate in TLT’s corporate team, added: “YFM has a strong track record of growth capital investments and we, like YFM, understand that the nature of these investments means that investors, companies and founders all need to work together to maximise future opportunities for growth and success.